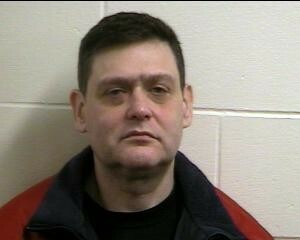 WINCHESTER – Winchester Chief of Police Peter MacDonnell and Middlesex District Attorney Marian Ryan have announced that ALEXANDER OSHER, AGE 48, OF LYNN was arraigned on Thursday, Jan. 19 in Woburn District Court. OSHER was charged with three counts of indecent assault and battery on a person over the age of 14 in connection with three alleged incidents of sexual assaults of the defendant’s massage clients. Authorities believe that there may be additional victims in this case, and they are asking anyone who may be a victim to contact the Winchester Police Department. Judge Dennis Curran set bail at $1,000 cash and ordered the defendant to surrender his passport, to wear a GPS monitoring bracelet, to not leave the Commonwealth of Massachusetts, to observe a curfew from 10:00 p.m. to 6:00 a.m., to not work as a licensed massage therapist, to not seek or maintain employment in any establishment offering massage therapy, to stay away from, and have no contact with, the victims, to stay away from the Winchester Wellness Center and to not commit any new crimes. The next scheduled hearing in this case is Monday, Feb. 13. Anyone with information or who may wish to come forward can come to the Winchester Police Department or call Winchester Police Detectives at 781-729-0238. From Dec. 15, 2016 to Jan. 16, 2017, the Winchester Police Department received three separate complaints from women stating that during their visit to the Winchester Wellness Center, where the defendant worked as a licensed masseuse, they had been inappropriately touched during their massages. 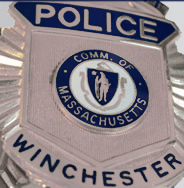 Following the investigation, Winchester Police arrested the defendant on Jan. 18. This is an open and ongoing investigation. These charges are allegations and the defendant is presumed innocent until proven guilty. The prosecutor assigned to this case is Assistant District Attorney Jason Chandler. October 3, 2013 – Wally Jacques Simon, 36, of Medford was found guilty of first degree murder and other charges in connection with the 2007 murder of Christopher Barbaro, 50, of Winchester, and the shooting of his brother, Bryan Barbaro, 48, of Winchester, Middlesex District Attorney Marian Ryan announced today. Following an eight day jury trial in Middlesex Superior Court, Wally Jacques Simon, was found guilty of murder, home invasion, armed robbery, assault and battery with a dangerous weapon causing serious bodily injury, and carrying a firearm without a license. He will be sentenced on October 18 by Middlesex Superior Court Judge Maynard Kirpalani. 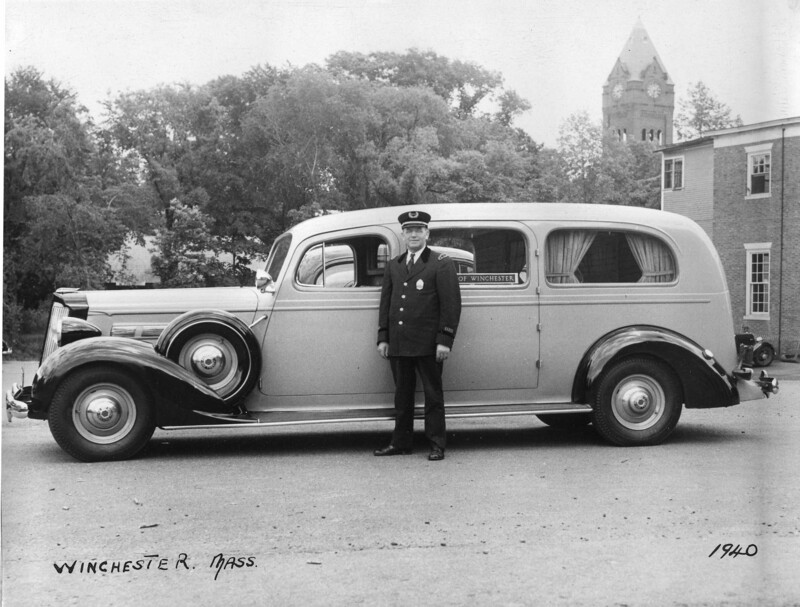 According to authorities, at approximately 12:30 a.m. on October 24, 2007, Winchester Police responded to a 911 call of a reported shooting at 70 Irving Street in Winchester. When police arrived, they found Christopher Barbaro in his apartment unresponsive and lying on the floor, suffering gun shot wounds. He was pronounced dead at the scene. A joint investigation was launched by Winchester Police and Massachusetts State Police assigned to the Middlesex District Attorney’s Office. 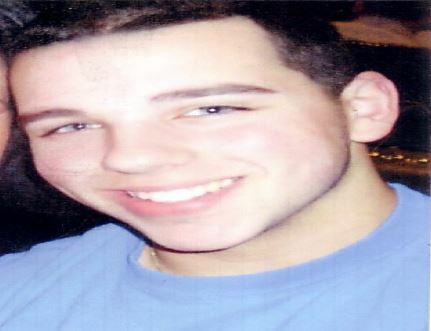 The investigation revealed that Simon was known to both victims. On the day of the murder, Simon broke into Christopher’s second floor apartment with the intent to steal from him. The defendant stole money from the victim and then shot the victim. The victim’s brother Bryan, who lived upstairs, heard loud noises and came down into his brother’s apartment. He saw his brother lying on the ground, having been shot, and noticed the defendant trying to flee. 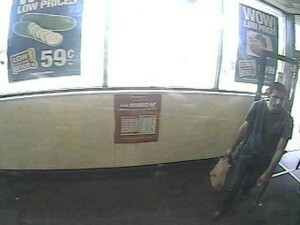 He approached the defendant, whom he recognized. 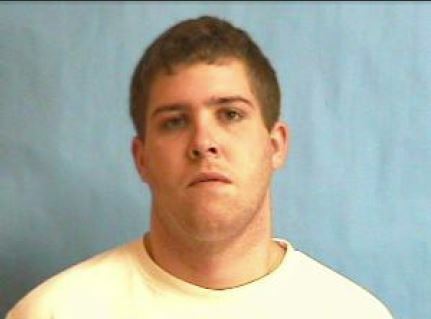 Simon shot Bryan and the two men fought as the defendant tried to leave. This struggle led to the main doorway of the home, with money falling out of Simon’s bag along the way. Eventually, the defendant left the home, got to his car and fled. Bryan went back into his apartment and called 911. 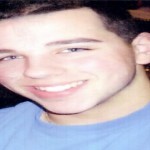 Simon was arrested on October 24, 2007 on charges of armed assault with intent to murder and home invasion. On December 14, 2007 he was indicted by a Middlesex Grand Jury on charges of first degree murder, home invasion, armed robbery, assault and battery with a dangerous weapon causing serious bodily injury, and carrying a firearm without a license. He was held without bail. 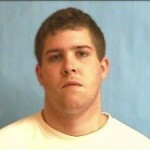 The case was prosecuted by Assistant District Attorneys Chris Tarrant, Jessica Noble and Gwendolyn Russell. The Victim Witness Advocate was Danielle DeMeo. The paralegals were Erika-Lee Willey and Ashley Cunningham. An investigation by Winchester, Arlington and Lexington Police Departments as well as the Suburban Middlesex County Drug Task Force resulted in the arrest of two individuals for the sale of MDMA, also known as “Molly”. 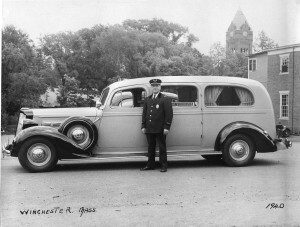 Both individuals are Winchester residents. Brandon Holladay, 23 and Nico Marrocco, 19 were subsequently arrested after selling the drug to an undercover police officer. Holladay and Marrocco were charged with Distribution of a Class B substance. Arlington Police charged the two with similar offenses as a result of the investigation. The Winchester Police Department and Winchester Coalition for a Safer Community feels it necessary to make residents aware of the dangerousness of the drug “Molly”. Several recent incidents of “Molly” usage have been reported in surrounding cities and towns. Winchester is not immune to similar problems but through communication and education we can hopefully reduce the risk of “Molly” usage in the community. It is important for parents to understand how dangerous this drug is and to be vigilant in discussing these issues with their children. Molly is not a new drug but as recent news stories have reported, is becoming more popular. The following information has been excerpted from a September 4, 2013 press release from the Reading Coalition Against Substance Abuse. 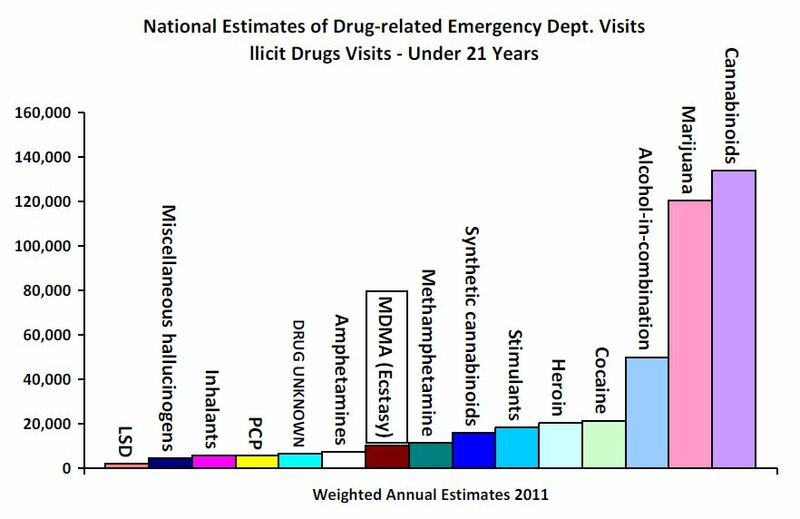 – For most people, a “hit” of MDMA lasts for 3 to 6 hours. Once the pill is swallowed, it takes only about 15 minutes for MDMA to enter the bloodstream and reach the brain. About 45 minutes later, the person experiences MDMA’s “high.” That’s when the drug is at its peak. – People who use MDMA might feel very alert, or “hyper,” at first. Some lose a sense of time and experience other changes in perception, such as an enhanced sense of touch. Others experience negative effects right away. They may become anxious and agitated. Sweating or chills may occur, and people may feel faint or dizzy. – MDMA can also cause muscle tension, nausea, blurred vision, and increased heart rate and blood pressure. Forceful clenching of the teeth can occur, and individuals at clubs have been known to chew on pacifiers to relieve some of the tension. – Even if a person takes only one pill, the side effects of MDMA—including feelings of sadness, anxiety, depression, and memory difficulties—can last for several days to a week (or longer in people who use MDMA regularly). 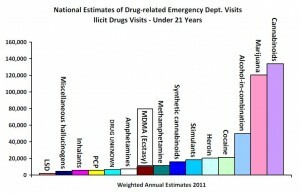 – MDMA was involved in 10,176 emergency department visits in the U.S. in 2011. 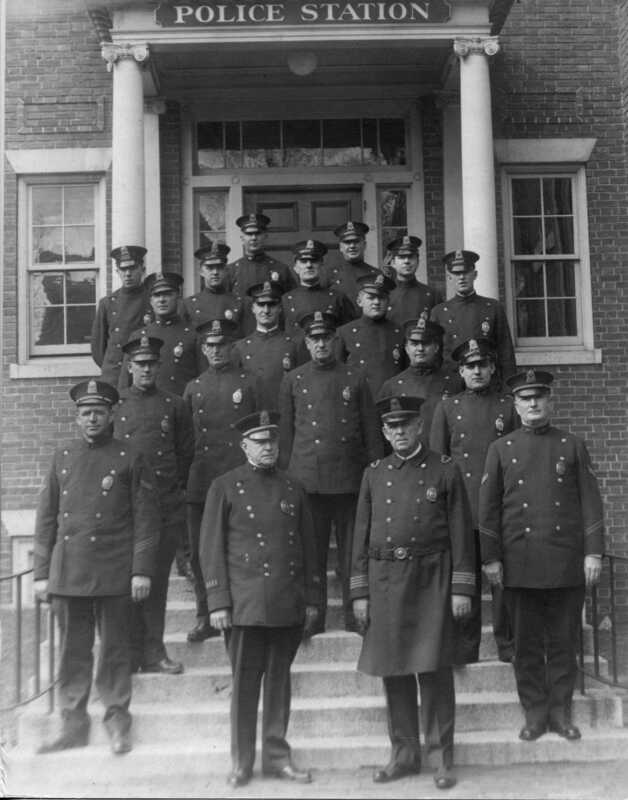 Click on the post title A Look Back, above to see three photographs of Winchester Police from the last century. The first is a photo of the department from 1930. 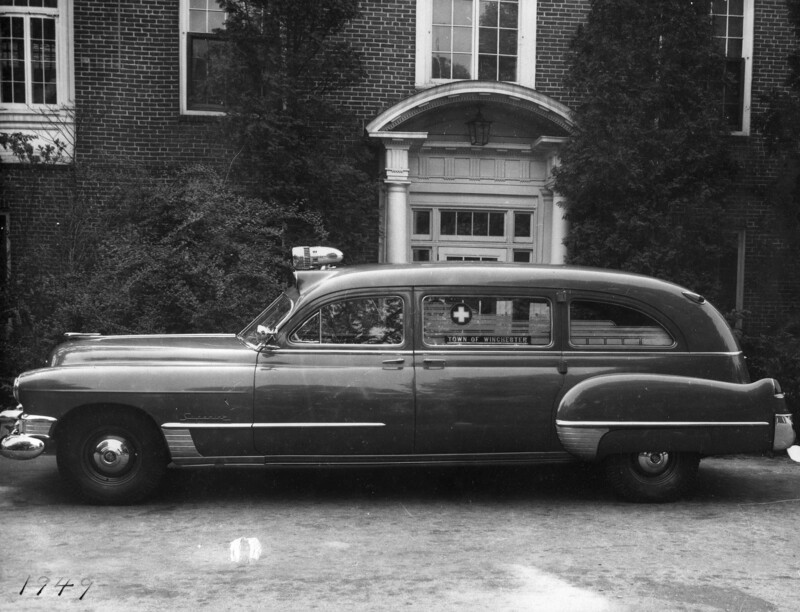 The second and third photos are of the police ambulance in 1940 and 1949. 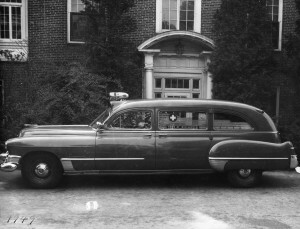 There was a time when the police department ran the ambulance prior to the fire department taking over that responsibility.